Next-generation sequencing is a disruptive technology that significantly impacts pathologists’ role in analyzing, interpreting, and reporting clinical laboratory results. Clinical laboratory personnel must develop procedures and policies for assay validation, generating and managing the vast amount of data, integrating bioinformatics analyses and filters, and annotating variants to create clear, informative, and timely reports. Professional societies and organizations assist with recommendations and guidelines. 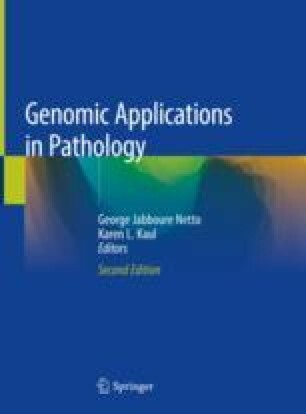 This chapter delineates current challenges to generating next-generation sequencing clinical reports and emerging solutions. Pilarski R, Rai K, Cebulla C, Abdel-Rahman. BAP1 tumor predisposition syndrome, 2016 Oct 13. In: Pagon RA, Adam MP, Ardinger HH, et al., editors. GeneReviews® [Internet]. Seattle: University of Washington, Seattle; 1993–2017. https://www.ncbi.nlm.nih.gov/books/NBK390611/.